I just recently had some blood results come back with a positive ANA test and low vitamin D level. My doctor is choosing to treat the vitamin D levels first before doing more test in regards to the positive ANA. My mom has Lupus and I'm a bit concerned whether all of this is going to end up being Lupus. I do have fibromyalgia symptoms I'm guessing due to the vitamin D deficiency, but I have lived with aches and pains my whole life. My question is should I be doing anything else while I'm waiting for the vitamin D levels to get back to normal. Right now my Dr. has me on 5000ius a day. Unfortunately, your doctor is not only ignoring your possible autoimmune disease, but he's also undertreating your vitamin d deficiency as well. 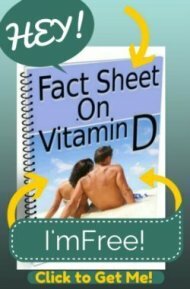 Please read my page on Vitamin D Therapy to see that 5000 IU's is likely to be a MAINTENANCE dose for you. So 3 months down the line after taking 5000 IU's per day, if your level is exactly the same as it was, you and your doctor are going to think something is wrong with you. There's nothing wrong, it's just that you were given a maintenance dose and not a treatment dosage. So, that's the first place to start. Next, YES, YES you should be doing something while you are 'waiting'. Even if your doctor DID decide to treat your and test further for your high ANA, what is he going to do?? You've seen your mom suffer with Lupus and it's likely her doctors haven't helped her much, so why would you expect your doctors to be any different. If you have a high ANA, you are definitely on the path towards autoimmunity of some kind- whether it's lupus or something else. But you don't have to have Lupus and 'manage it' for ever. You CAN take charge and responsibility and eliminate the reasons why you have autoimmunity. And the MAIN reason is because you have Increased Intestinal Permeability from Gluten Sensitivity and various different nutrient deficiencies. The BEST thing for you to do while you are 'waiting' is to start eating a gluten free 'Paleolithic' type diet. I HIGHLY recommend that you get and follow the instructions in The Primal Leap Health Program . If you don't have weight to lose, ignore all the talk about weight loss. 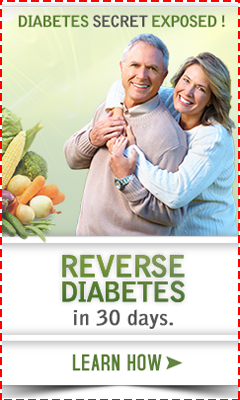 This is the HEALTH program that my husband and I follow every day and that took me 20 years of trial and error to figure out was the very best eating program to solve the majority of people's health prolblems. This is in response to the administrator's reply. Do you have high ANA and Vitamin D deficiency? Just curious how you know that a gluten free diet will solve all of the problems. Does it get rid of high ANA? I have been told by a microbiologist that once you have ANA it's in your cells memory and cannot be removed. If you go to the links that I gave in my answer, and in various other places on my site, I answer that question. I've already answered it MULTIPLE times with much conversation and debate in various threads with the links to many many studies from a variety of different sources. It's POSSIBLE that your friend means that once you have an antibody to something, then that antibody is always present in your body. I don't disagree, but that is not what I am talking about. I'm talking about reducing one's ANA levels in the blood to functionally ZERO such that the former evidence of one's body attacking itself no longer exists because the body is not attacking itself any longer. I am not suggesting, nor have I ever done said such a thing, that one can remove every trace of an antibody to an antigen that one produced at some point in one's life. I did steroids epidural shots in my back,it never work,I was under a chiropractor for mounts,never work..I keep telling the doctors it's paid in my bought hips and legs mostly when I lay down in can feel it in my bones,they keep saying sciatic nerve pain..I know my feelings..can you help! !